Limited edition short jacket made from high-quality material. 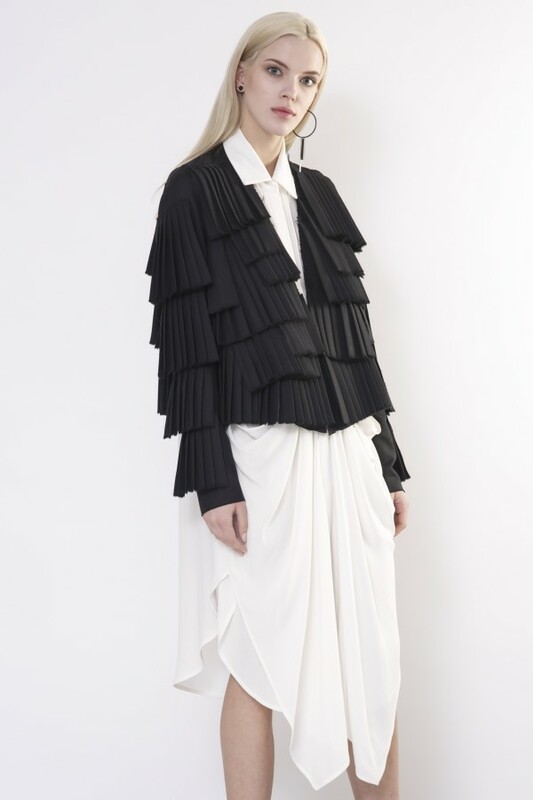 It features square cut, classic silhuette and tailored with hand-made special pleats. Model is 175 cm/ 5'9" height and is wearing size S.